Ukraine has taken a significant step towards energy independence this month by adopting new conditions for gas extraction companies, which open the potential for Ukraine to become part of an eastern European gas hub and even a gas exporter, according to the Financial Times (FT). Investors have been waiting for the reforms since 2014, in the hope that they will change the regional energy landscape and strengthen energy security, FT wrote. Under amendments to the Tax Code (Bill 6776-d), from January 1, 2018, the royalty payable on gas extracted from new wells will fall to 12 per cent or 6 per cent, depending on the depth of the deposit (up to or over 5km). This compares with current rates of 29 per cent and 14 per cent. Royalties for greenfield projects and product-sharing agreements are fixed at 2 per cent for oil and 1.25 per cent for gas, rather than subject to agreement between the parties involved, as previously. The law also guarantees no changes to conditions applying to new wells for the next five years (to 2023), providing security for investors and demonstrating Ukraine's willingness to be a predictable partner. Ukraine has great potential in the gas sector. According to the BP Statistical Review of World Energy, its total proven reserves of natural gas at the end of 2016 were about 600bn cubic metres (bcm). The new tax rules make Ukraine the most attractive country in the region for gas extraction investments. Over the past three years, Ukraine has made great progress in creating competitive national energy markets. Laws covering the gas market, the electricity market and an independent regulator have laid the basis for de-monopolisation and liberalisation of our energy markets. In 2016, some 35 companies imported 11.1 bcm of gas to Ukraine, including Engie, Axpo Trading, TrailStone, Eni, RWE and others. Total consumption in Ukraine in the year was 29 bcm. So for the coming decades, demand for natural gas in Ukraine will remain strong and the need to increase extraction will remain at a high level. 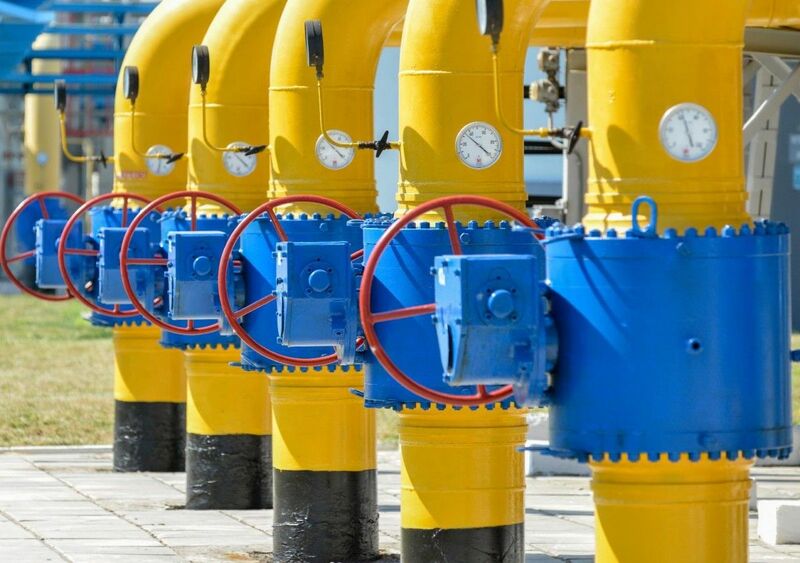 Read alsoIMF insists on Ukraine adjusting gas pricesUkraine has the most powerful gas transmission system in the world and 12 underground storage facilities with a total capacity of 31 bcm. In 2016, 46 per cent of Russian gas exports to the EU and Turkey were transited through Ukraine. Naftogaz (the Ukraine state-owned company) transported more than 70bn m³ of Russian gas to EU countries through Ukraine in 2017. Four large companies – Snam, Eustream, Gasunie and GRTgaz – have shown interest in investing in the Ukrainian gas transportation system. The government is preparing to launch a competition to choose an operator. Its existing capabilities allow Ukraine to be an integral part of an eastern European gas hub. Ukraine is actively co-operating with Poland and Lithuania in building cross-border interconnections to create the technical capabilities to ship gas from LNG terminals in Swinoujscie and Klaipeda along the north-south gas corridor. According to the OECD's investment policy reviews, since 2016, Ukraine has made significant progress in improving its investment policy framework. Investment legislation has been significantly improved in terms of establishing the principle of non-discrimination of foreign investment and general provisions on foreign investment protection. Ukraine has become more and more attractive as an investment destination. The World Bank expects the economy to grow by 3 to 4 per cent a year over the medium term. Foreign direct investment in 2016 was $4.4bn, which is 17 per cent more than in 2015 ($3.8bn). Ukraine ranks 80th in the World Bank's 2017 Ease of Doing Business report, three positions higher than the previous year and 57 positions higher than in 2013. Read alsoForeign investment in Ukraine grows by over US$2 bln by Oct 1According to the Institutional Investor, Ukraine tops the Emea region for potential investors with 32 per cent of survey respondents prioritising the country. Backed by upgrades from Moody's, Kyiv has changed the investment outlook from stable to positive. Ray Washburn, the newly appointed president of the U.S. government's Overseas Private Investment Corporation, has stated his intention to expand support for investment in Ukraine with more than $17m for two Ukrainian banks to provide credit to small and medium-sized businesses. Such developments clearly demonstrate that, despite the existing security situation in the country, Ukrainian markets will surely grow. Ukraine is working hard to improve its image as a reliable and promising partner for investors. Its results are extremely positive in comparison with the situation of just a few years ago. However, there is much to be done in terms of critical and strategically important issues, not only to increase national gas extraction as a part of strengthening energy security but also the national security of Ukraine under the current geopolitical and security conditions. The government has recently said that gas production in Ukraine will increase to 27 bcm by 2020. But this requires about $4bn of capital expenditure. If achieved, this would set Ukraine on course to become energy independent by 2022. This is why reducing taxes and royalties for the upstream industry is so important for Ukraine, opening a window of opportunity for investors and contributing significantly to energy security in Europe.